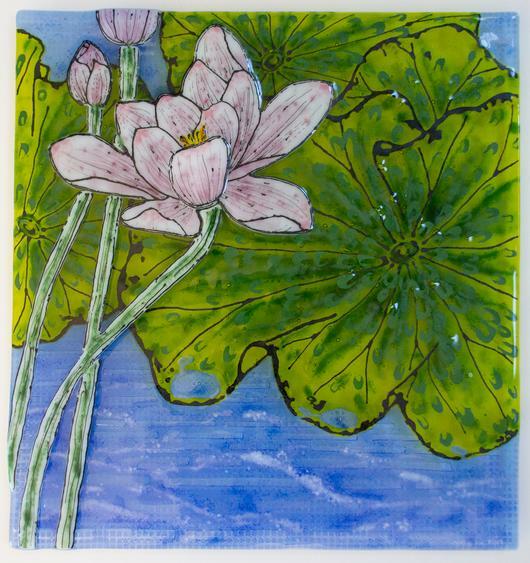 Crimson, pink, and white water lily blossoms float in this textural, layered fused glass artwork. Four green variations create the leaves highlighted with black outlines of powdered glass. Blue pond water flows with white foam undulations and deep white grid patterns. Adding depth and light shifting are dashed voids below the 2 base layers. 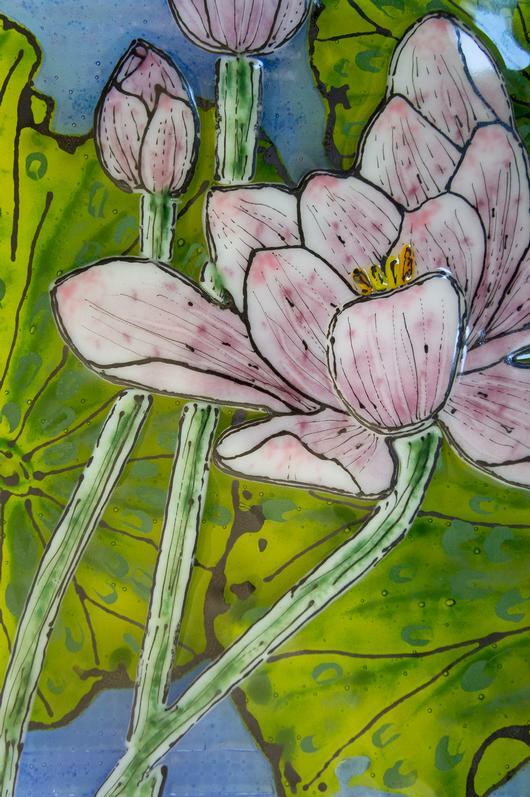 Glass pieces, chips, and powders form this artwork, during the 3 glass kiln firings. 16” x 17” x ¼” 5.8 lbs.